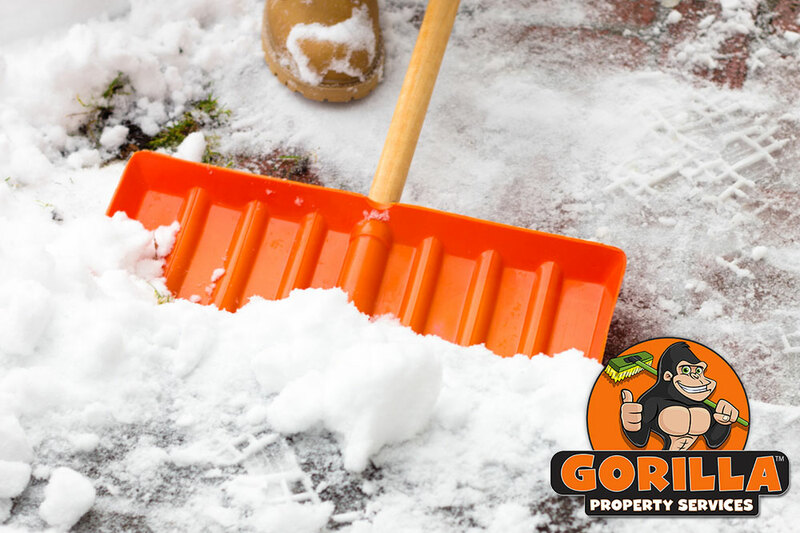 Gorilla Property Services is now offering Kelowna Snow Removal and Salting to all our Strata and Co-op clients exclusively. Like a lot of the rest of BC, the Okanagan tends to see the worst of its winter weather in December and January, and Kelowna is no exception. The last time the Okanagan Lake froze over completely was in 1986. Ordinarily, warm air rising from the lake climbs above the colder atmospheric air. This coats the valley in clouds for weeks on end. Heavy cloud cover is most often found during the winter months when snowfall is heaviest. Our Kelowna Snow Removal and Salting Service is the perfect preventative measure to slips and falls. This gives you and your residents peace of mind that your property and surrounding area is a safe environment. The process is simple and non-evasive, but effective. 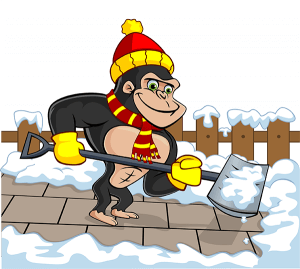 Certified Gorilla technicians perform your salting according to predetermined temperature, frost and/or snowfall. Technicians at Gorilla Property Services salt all exposed common areas, such as walkways, landing and parked entires. Shovelling and snow removal is carried out on a predetermined snow fall level. As all our Kelowna snow removal and salting services are completed during early hours. Our aim is to keep the noise to a minimum! To this end, our Gorillas use shovels and mechanical blowers for all snow removal. We also offer Parking Lot Salting with the aid of our Gorilla Mobile. Customers can call any time to speak with one of our expert Gorilla technicians. For decades, residents trust in our Kelowna snow removal and salting, and you should too!